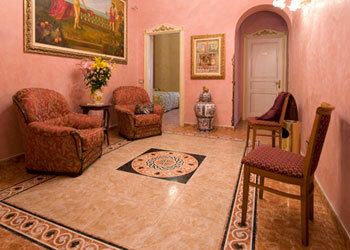 Hotel Joli can receive up to 65 Guests who can choose to stay in single, double or triple rooms or in junior suites. 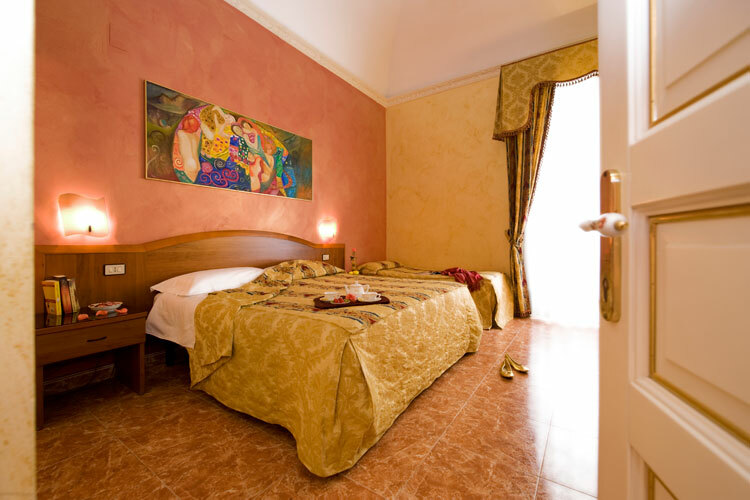 All can be considered gems, among the most beautiful and comfortable for a 3-star hotel in Palermo, perfectly suited for a vacation spent discovering the beauty of the city and its surroundings or for a stay dedicated to business or study. 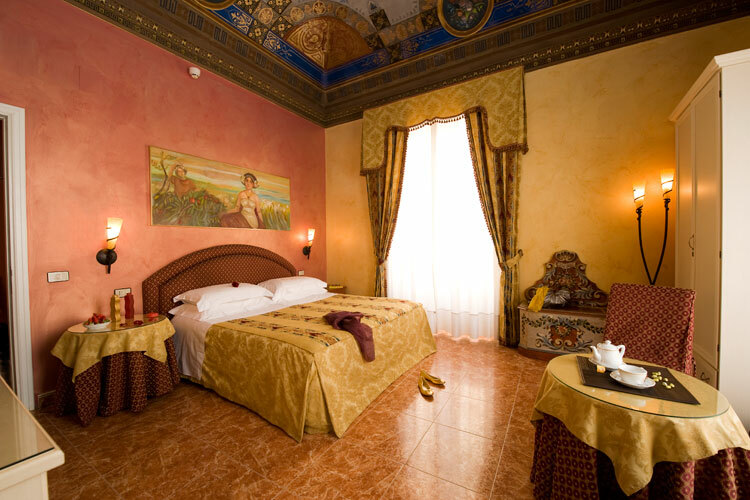 Perfectly set in the refined setting of the hotel, the rooms are large and bright, with marble flooring, complete with tasteful wood decor enhanced by rich fabrics and by valuable prints and paintings. 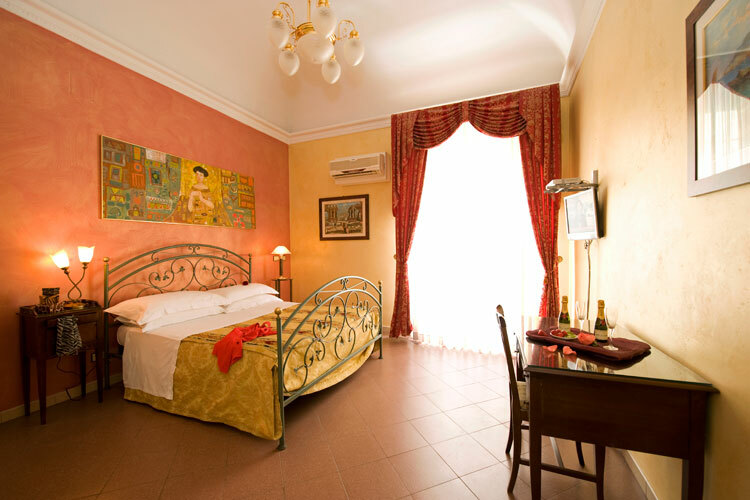 Each room has a private bathroom, with shower and bathtub, and with hair dryer availability; some of the rooms come with an elegant and pleasant balcony overlooking the Piazza Florio, with a view on Monte Pellegrino. 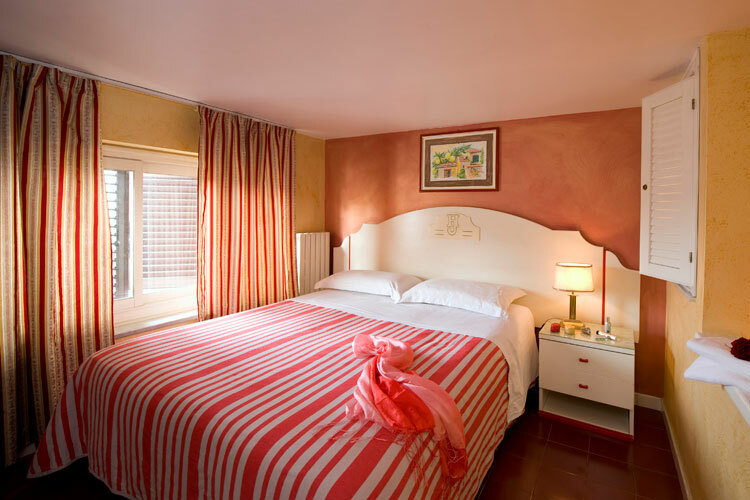 All rooms have air conditioning and independent, adjustable heating, a television, minibar, safe and direct telephone with the option of hooking up a personal computer to our wireless connection.